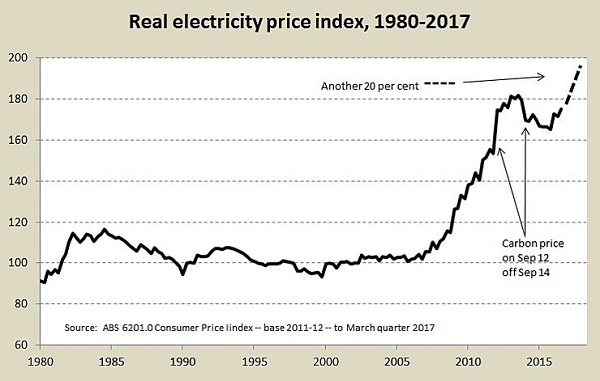 Oddly enough Peter Martin had commented earlier that electricity was not that expensive, and was no more now than it was in 1984 as a percentage of household income, namely 2.9%. It’s just that we have become used to paying less, and are now spending our money on other things. For example, we pay 3.3% on “communication”, a category that encompasses phones and the internet, compared to 1.8% in 1984. And we are now spending 19.6% on rates and mortgage payments, compared to 12.8% back then. Combined, the increases in what we are spending on housing and communications are three times what we’re paying for energy. But it’s hurting, and we don’t like it. some of us are getting better than the standard deal. 24 per cent by increased retail costs and profit margin. As Ross Gittins says, reformers thought we would get a large number of players competing vigorously on price. Instead we got large vertically integrated oligopolies, skilled in maximising price. that 24 percentage points of the overall increase in real power costs have come from the retail level breaks up into seven points for higher profit margins and a remarkable 17 points for higher costs – mainly, I presume, the costs of marketing, advertising and sales people to flog an essential service. Remarkable. Turnbull, after talking to the retailers, said 2 million consumers should ring up their retailer to get a better deal. Around that time Alinta was hiring 100 people with the aim of taking 25% of the SE Queensland market over two years. If they did what Turnbull asked then contacting a retailer would make contacting Centrelink look like preschool. Also around that time Peter Martin took a look, and found that most electricity consumers say they’d need to save about 23% of their bill to make switching worthwhile. That’s over $300 pa in Victoria and $400 pa in NSW. Most don’t even want to take a look to see how much they’d save. Most also say it’s too complicated to compare offers and plans, a conclusion I reluctantly came to myself, and I’m normally good at these things. Where this is heading is towards the creation of a basic, no-fuss, no-frills standard offer for those who want to turn on the lights and pay their bills with a minimum of fuss. Indeed this is the central recommendation of the Independent Review into Electricity & Gas Retail Markets in Victoria, August 2017, chaired by Professor John Thwaites. They called it a Basic Service Offer, which would not exclude the provision and choice of other offers, if people want to play the game. Retail accounts for about 33% of the bill. They say that the profits of the large Tier 1 are greater than the profits of smaller retailers. ‘Costs’ include going door to door to convince people to change providers. Their conclusion is that competition actually costs the consumer money. Sims makes a big deal of the increase in network charges. Thwaites finds that, as with retail, network charges have more than doubled since 2009. Sims on local radio claims that privatisation had nothing to do with these rises, citing Queensland and NSW as the biggest offenders when in both cases the networks were in public hands. Sims blames increased security standards (that is, the 0.002% blackout expectation), deemed excessive, and a relaxation of the rules so that the Australian Energy Regulator (AER) is forced to allow a greater return on equity. NSW were said to have an interest in maximising the value of its transmission assets with a view to selling them. I would make two points. First, Queensland charges with GST are now around $394 pa including GST, which compare favourably with Victoria’s, which is surprising when you consider a more decentralised state, more challenging topography and weather, and more vigorous tree growth. Secondly, the charges relate to a return on the value of the assets rather than maintenance costs. Technically this could be fixed by devaluing the assets, but that would be tricky if privately owned. Generating appears to be contained within the box labelled “Wholesale charge” at $266 or around 18% of the bill. We have had many articles, such as Ian Verrender at the ABC The truth about soaring power prices: wind and solar not to blame. I did a post back in July It’s gas, not renewables, pushing up electricity prices. Ben Potter at the AFR says that gas used to set the National Electricity Market (NEM) wholesale price about a tenth of the time. Now it’s a quarter of the time. You can see why Turnbull and Frydenberg would want to keep Liddell running, apart from it being a busted dud. The settlement price paid to generators is the average dispatch price over 30 minutes; all successful bidders are paid at this price, regardless of how they bid. 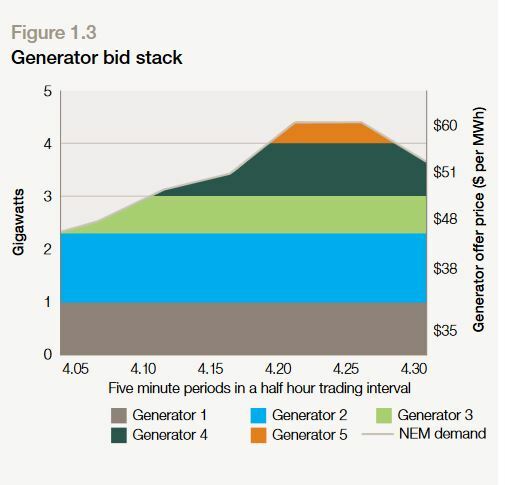 In the example shown, the settlement price paid to all dispatched generators for the half hour trading interval was about $54 per MWh, being the average of the six dispatch prices for the half hour period. If a generator has a number of power stations, and one of them gas, the system is subject to manipulation within the rules, and the report actually complains of Queensland government generators doing just that during peak summer periods. However, in a separate AER report we find that five coal plants failed in Queensland heatwave on day of record demand. There is a story still current, promulgated also by Giles Parkinson who published that article on 18 May, that the Queensland minister wrote to the Queensland generators asking them to change their bidding practices, and that the price fell by 30% as a result. The exact truth is not known, but the letter was written in early June, when the retail price had been settled and was about to be announced by the Queensland Competition Authority, giving a 3.3% increase to residential customers from 1 July and 4.1% to business. The letter was only to Stanwell, not to CS Energy. I suspect it related to forward spot prices for businesses without a contract, but I don’t know. 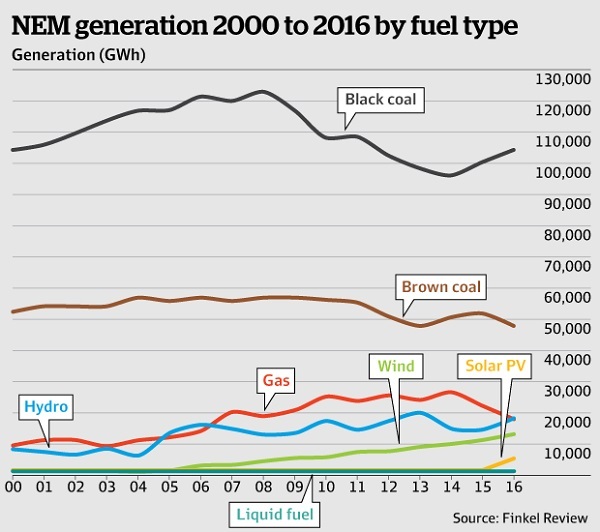 It shows gas and brown coal coming off a bit in favour of black coal and renewables. In the post AEMO sees electricity markets reshaped the forecast 20 years out is that the daily minimum will be lower than today, and the daily maximums higher. In addition the minimum will migrate to the middle of the day. This is not where we’ll need ‘baseload’ coal, which can only be ramped up by about 100MW each hour. It shows gas reducing from 6% in 2020 to 3% in 2050, if the Clean Energy Target is implemented. It appears to totally neglect batteries and pumped hydro, whereas we know that pumped hydro storage ‘could make Australia run on renewable energy alone within 20 years’. The program of privatisation and competition began with Victoria in 1994, but got going with the initiation of the National Electricity Market in December 1998. However, the NEM only became fully operational when AEMO, the Australian Energy Market Operator began controlling by managing the practical balance between consumption and supply, operating within and across the interlinked pools of the NEM. That happened in July 2009. On the face of it markets based on competition and private gain have not worked out well, but we’ll be offered more of the same, with ad hoc interventions by government to try to make it all work. I was thinking about this last night in relation to how the generator bid stack works. The rule-makers, the Australian Energy Market Commission, have made a draft rule change to 5-minute settlement periods. It means the rule will change, but they reckon they need a minimum of three years and seven months (the maximum allowed) to implement it. AEMO has done a 34-page technical paper to outline what needs to be done, so who am I top disagree? This will make life difficult for coal burners, or even gas burners, who take time to ramp up and down, and can be cut out by renewables with zero marginal cost of supply. I guess it’s why now the system allows negative bids of up to -$1000 per MWh, where generators pay the system to take power, so they can keep the burners on and score later. It seems to me that the competitive process relies on a lot of excess capacity in thew system, and the possibility that generators will bid low enough to prevent going broke. Having worked in the bureaucracy for a quarter of a century, I have a bias, but it seems to me that the situation is best served by being based on rational design, rather than greed-motivated competition. So either nationalise the whole thing, or allow AEMO to call tenders for future generation, or return to state control. I’m minding a house at the moment, and promised to leave the gate unlocked so the meter can be read. Only I forgot to write down the date. So I rang Energex, and sure enough, they read all the meters, no matter who the retailer is. So why is it again that we need these wasters to send out the bill? How about the Federal Government get the hell out of onshore resources, it’s none of their business. In fact hand over offshore to the States too. Also, a chap on radio said WA takes their royalties from gas in the form of local supply. They’re not part of NEM and their average total household expenditure was the lowest last year. Get the Fed out of it, they botched it up. Jumpy, I’m close to agreement. I’ve pointed out earlier that Finkel sees the states as responsible for electricity, and the NEM and the rule-making and operational structure (AEMO, AER and AEMC) have been set up under COAG, not the Commonwealth. The women running the show are being too polite to Malcolm and Josh. Given that we are where we are, the best outcome is probably for AEMO to work with the states. However, we’ve signed up to the Paris climate agreement, and the foreign affairs powers of the Commonwealth no doubt gives them leverage to minimise emissions. So far they are manifestly failing and don’t appear to be serious. Presumably they also have a constitutional role in export permits. The Northern Territory has told them to bugger off in relation to fracking, where the NT government, probably legitimately, claims a mandate. Federal govt: imports, customs and excise, exports, immigration, defence…. State govts: agriculture, mining, education, health. …. This Chap was saying States could set a level of domestic royalty retainment of gas, I think he said WA was 15%, and sell any surplus to other States. The State constituents ( that Constitutionally own the stuff ) that vote for cheer gas get it, the State constituents that vote to have deficit in gas pay more on the interstate market. Also NT constituants have no Constitutional rights as State constituents, they’re the Feds folk to push around as it wishes. Pretty much yeah, the border including quarantine, that’s about it. Plus making sure the States play nice with each other on everything else. I dunno. Having governments involved in any field of human endeavour inevitably distorts and corrupts the workings of what should be a totally free market. Rising tides and all that. The Federal government as a whole did not “botch it up”. One mentally deranged individual did that. …Tony Abbott..!..and we must not forget that. He didn’t do it completely on his own, he had help, principally Peta Credlin,…and the inner bunch of current ministers,..but it was Abbott who seized the opportunity ditching Turnbull then going on a demolition derby, canning climate action and trashing our parliamentary system of coherent government. Then seized the chance to be the Prime Minister and wasted no time in killing Australia’s car industry on a whim, forced Malcolm Turnbull to derate the NBN, did nothing to limit electricity price increases other than killing the carbon price while wasting the advantages on all fronts, sent the government debt into free rise, and then to cap it all gave the Duke of Edinburgh an AO…an act of stupidity that Donald Trump has only now been able to upstage by donating a golf trophy to the people of Puerto Rico to ease their hurricane pain. We are still coping with the mess left by one ideologically driven egotistical incompetent, who now has the freedom to continually blame every one but himself for the mess, even attempting to elevate himself as the only one who can “fix” things. The energy egg is definitely scrambled, but it was ideology, greed, incompetence, ego, and even the immense confused fog put forward by economists desperate to experiment with the situation, that created the mush that we have to live with. The reality is though that it really does not matter that much at present because the technologies to bring order were not fully mature during the last seven years. The largest and most efficient wind turbines are only recently available for installation, the highest efficiency 61.5% combined cycle turbine gas (and coal for that matter) are only now being ordered and built, battery technology is only now maturing to a level where it can begin to make a difference, waste to synfuel processes are not yet advanced far enough, solar PV is only now at the affordable level hitting above 20% efficiency, etc. There is still a long way to go, but careful investment only now can build a truly excellent energy system that will be good for the next 60 years with steadily improving sustainability. This is very much a free market and failure to regulate effectively driven problem. It is important to not lose sight of how this mess came about, and even more important to not let that toxin of ideological hatred to flow outward and poison our future. Well said BilB! Hear, hear. I could have added, do you remember Peta Credlin admitting that Abbott’s toxic tax and everything that went with it was a fantasy of Abbott’s to help him win the Prime Ministership? Well that admission wasn’t just an inconsequential leaf on the breeze to be blown away and forgotten, it was recognition of the thumping great big rock barrier that has been dumped in the middle of our energy highway that everyone is still having to squeeze to get around and is causing huge price increases, system failures, investment failures, lack of cohesion, and loss of respect for government. Not to mention annoyance and anger all around. Yeah righto, the prices shot up starting 7 September 2013. The 1st graph obviously shows that. Abbott was also to blame for polio and both World Wars. Jumpy, you’re really not following this at all are?? 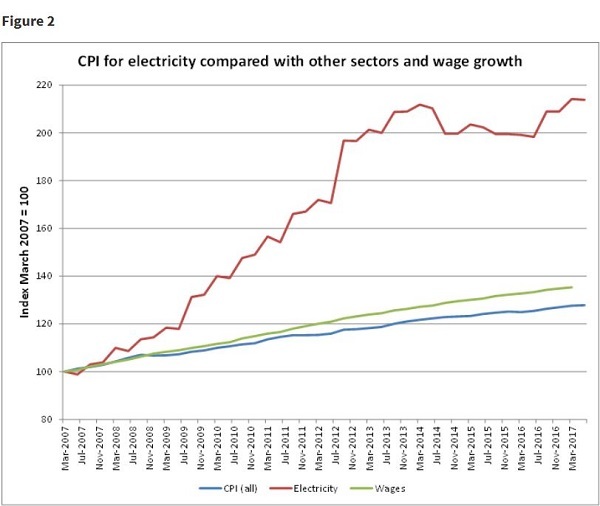 The electricity price was meant to go up, that was what the CPRS was all about. But the price was to go up to promote usage efficiency (which did happen) and the funds collected were to be made available to build renewable infrastructure including improving the grid. Well the price began to rise on a programme endorsed by government to support the CPRS, but at that point megahorn doom ad destruction Abbott stepped in and did everything possible to destroy the process. 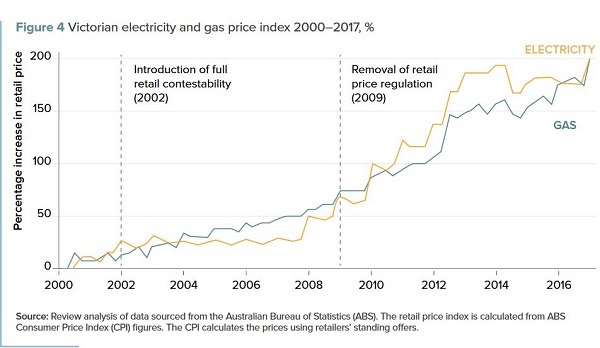 Unfortunately the price increase genie was already out of the bottle asnd Abbott did his level best to make sure that no benefit was gained from the public’s loss, which then became 100% the electricity industry’s gain. Let’s read back to your comments of the time where you were adoring Abbott and scoffing climate science everyone and everything to do with it shall we? distorts and corrupts the workings of what should be a totally free market. In case it is an inappropriate free market that is stuffing things up. Electricity costs are dominated by the fixed costs associated with the capital cost and running costs are relatively low. (Essentially zero for renewables.) The free market come from competitive bidding to supply available capacity with minor charges for degree of standby and kW actually produced. Instead we have a crazy spot market that encourages all sorts of madness, suppliers not bothering to get ready for supplying a few hrs of peak power and negative prices at times. I was amused by our resident glibertarian arguing for government involvement. Clearly I need to work harder on signalling my sarcasm. For the record, I think that we are more likely to encounter unicorn droppings than “free” markets. As for the electricity price increase at the 7 Sept 2012 from the introduction of the Carbon price, what should have happened there is no price increase at all as the electricity industry was already receiving the proposed price penalty for the CPRS, which thanks to Abbott was never completed, and the industry had been happily pocketing (equivalent to collecting GST but not paying that to government). So rather than increase prices the industry should have begun paying to government the funds they had been receiving for some time. That was Gillard’s failure to legislate effectively but the political environment at the time was intensely toxic so understandable that the process was horribly distorted, again due to Abbott. IMHO. Jumpy, the bloke you heard talking about WA gas was I think the chair of a backbench committee, and a Lib, I’ve forgotten his name. He was suggesting a percentage of gas be withheld and made avaible domestically at normal rather than export prices as part of a comanpies licence to operate, like paying royalties. Matthew Stevens in the AFR thinks that companies like Shell and Origin understand that making gas available is now effectively part of their social licence to operate, but price is still an issue. I think BilB tells the tale well. In the ensuing buggers muddle some companies have taken the opportunity to maxinise their profit, thinking someone else will be blamed. I’m thinking here of the retailers especially, but it is not restricted to them. There is a kerfuffle going on with Essential Energy, a NSW government owned distributor serving 880,000 homes in regional NSW. They are taking an AER ruling on what they are able to charge to court. I can’t understand what is going on, but they appear to be saying that the cost to consumers will have to rise by $100 pa or else there will be blackouts. If successful it could have a flow-on effect. At the same time there is a move to make AER decisions nonappealable which I thought had been approved. In principle I think they should be, but apparently the Australian Competition Tribunal will be taken out of play with appeals only possible to the full Federal Court on narrow legal grounds. The senate was supposed to deliberate on this yesterday, but so far I haven’t heard any outcome. It is ridiculous to have an annyal re-setting of price. Then one phone call scores the customer a “discount”. How many don’t make the phone call??? 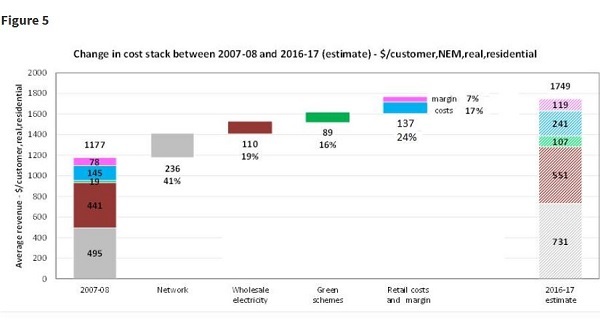 In the graph of power station performance shown above, taken from the Finkel Review, I note that Mt Piper’s short run marginal cost of coal appears to be just under $20/MWh. On 19 April 2017, the NSW Planning Assessment Commission (PAC) approved the proposed Springvale Mine Extension Modification 1 (SSD 5594 – MOD1), which included allowing an increase to the maximum permissible rate of extraction of coal from 4.5 to 5.5 million tonnes per annum. This change enables Springvale’s remaining coal reserves to be fully depleted as soon as in year-2024 – now possible more than 4 years sooner than the end of 2028 under the unmodified development consent, as I stated at the PAC public hearing (see my presentation PowerPoint slides and script, as speaker #2). Springvale Mine is currently the sole supplier of coal to NSW’s 1400 MW generating capacity Mt Piper Power Station, via an overland conveyor system. On 2 August 2017, the NSW Court of Appeal adjudicated that the Springvale Mine Extension consent was invalid, with further orders still pending, suggesting that Springvale’s future could be highly uncertain. However, NSW Member for Bathurst, Paul Toole MP, has recently stated that the NSW Government would invoke ‘special powers’ to keep Springvale Mine producing, “if necessary”. Nearby Angus Place Mine, the only other adequate capacity local coal supply for Mt Piper, via a private road link, was ‘mothballed’ on 28 March 2015, and its current development consent ends on 18 August 2024. If Angus Place Mine succeeds in gaining approval for further coal production beyond 2024, I think the mine is highly unlikely to have sufficient coal reserves remaining to continue to sustain all of Mt Piper’s fuel needs out to year-2043, when Mt Piper would be 50 years old. Clayton Utz legal firm’s August 17 commentary article warned that the Centennial Coal case illustrates the risks associated with seeking further or modified planning approvals for continuing or expanding existing operations. Mt Piper has a coal train unloader facility approved (on 27 June 2009) but it has never been built, and the Wallerawang – Gwabegar Main Line railway is currently unusable north of Kandos. Other mines in the NSW Western Coalfield, located north of Kandos, such as Wilpinjong, Ulan or Moolarben, could supply Mt Piper’s needs, but likely at higher cost, and presently possible only by road transport. 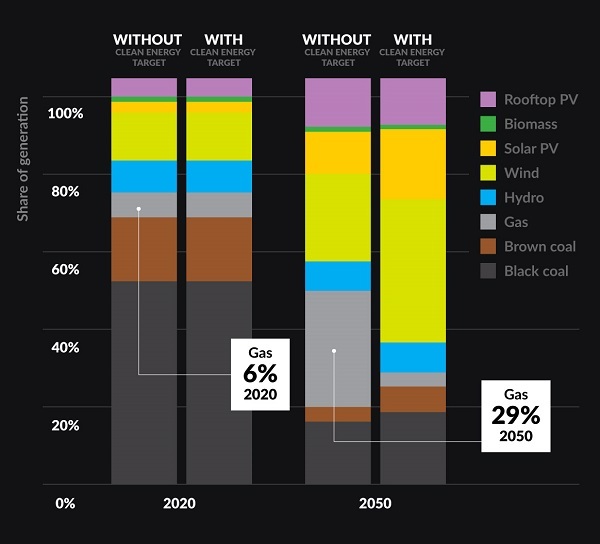 With this information in mind, where will Mt Piper’s affordable, adequate coal supply come from beyond 2024? Will Mt Piper’s short run marginal cost remain at around $20/MWh for much longer? Does Mt Piper have a life years beyond 2024? Just to let people know, I’ve just released Geoff Miell’s detailed comment on Mt Piper from moderation. Geoff, the first time you commented your comment landed in moderation as a firstie. The second landed there because you had more than three links in the comment. It’s just an anti-spam precaution. I mentioned the Mt Piper situation briefly in the post Coal now in short supply. You’ve given more detailed information, for which, thankyou. The short story is that Mt Piper does indeed have a shadow over its future, and is big enough to make a difference. Of course if we were half way serious about climate change, it would not be a problem. Ambigulous, as to how many don’t make the phone call, I don’t know, but remember that we were rebuked earlier om because only a minority (1 in 5? I can’t recall) had changed providers in the last five years. Problem is for markets to work properly every is meant to be out there actively maximising their self interest. It hasn’t occurred to these free market gurus that some people have other things to do. Markets have to be the right market to work properly. The power spot market is the wrong market for ensuring enough power is available for peak demand because it doesn’t pay people for supplying the capacity needed to meet peaks nor does it pay people to lift their standby level in anticipation of a demand surge. To make matters worse it doesn’t provide any mechanism to reward consumers for cutting back during peak demand periods. On the other hand competitive tendering for the long term supply of capacity does make sense. 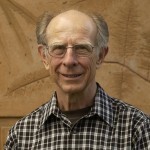 American academic whose research into behavioural economics showed people do not always make rational financial decisions has been awarded the 2017 Nobel Economics Prize. The 9-million-kronor ($1.4-million) prize was given to Richard Thaler for his “understanding [of] the psychology of economics” Swedish Academy of Sciences secretary Goeran Hansson said. Professor Thaler is considered one of the founding fathers of behavioural economics, a field that shows that far from being the rational decision-makers described in economic theory, people often make decisions that don’t serve their best interests. That could include, for example, refusing to cut their losses when their investments plunge in value or making big bets at the casino because they are convinced their hot streak will continue. The illogical behaviour has economic consequences: People don’t save enough for retirement, and they make investments when prices are already dangerously high. The academy said Professor Thaler’s research had expanded economic analysis by considering three psychological traits: limited rationality, perceptions about fairness and lack of self-control. “In total, Richard Thaler’s contributions have built a bridge between the economic and psychological analyses of individual decision-making,” the award-giving body said. Perhaps he didn’t believe that markets are the answer to everything and would consider our peak power spot market may not be the smartest market on the block. Interesting, John. It’s taken them (economists) a long time to get there! Good on you both, John and Brian. Yes, I remember being rebuked, Brian. Also annoyed to have to re-visit the matter annually, for my Mum aged in her 90s. Agree wholeheartedly that most folk have better things to do. In our circle of friends there is only one couple who are vigilant to pursue discounts and low prices, as a hobby. eBay, Costco, buying online, etc. Will drive 180 km to save $30. Richard Thaler (sound grab) on RN this morning promised to spend his Nobel Prize money irrationally!! Mr Foley promised Lithgow residents that he would ensure the mine’s approval to continue operations until 2028 was “set in stone”. One problem: – While the Springvale Mine Extension development consent expires at the end of 2028, its coal reserves will likely be depleted in 2024 – due to Springvale-MOD1 being approved earlier this year (see my earlier comment above). So, where will Mt Piper get its affordable, adequate coal supply from after 2024 and beyond? SA Liberal leader’s admits Lib household energy savings message overstated the gains and included the effect of already made SA gov decisions. The South Australian Government has accused Liberal leader Steven Marshall of misleading voters about the expected benefit his energy policy would deliver to households. In a bout of robocalls on Tuesday night, Mr Marshall claimed his policy to fast-track a new interconnector and subsidise up to 40,000 household batteries would result in significant savings. “Today I’ve announced our Liberal energy solution. A solution that will deliver cheaper and more reliable energy for our state while saving the average household over $300 a year,” Mr Marshall’s recording stated. The $300 figure was extrapolated by the Liberal Party from wholesale energy market modelling conducted by ACIL Allen Consulting. 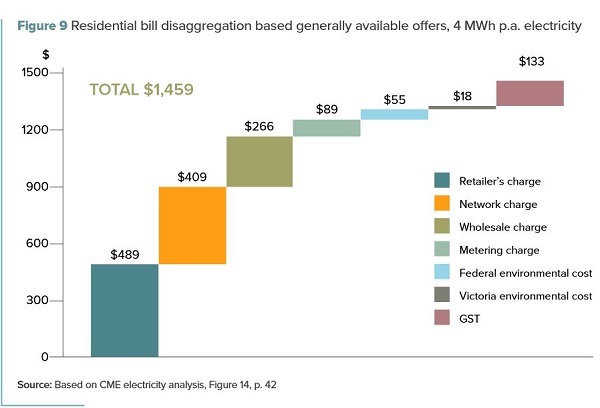 It was derived by comparing current wholesale electricity costs of about $109 per megawatt hour with a projection of $47.87 in 2022 under the Liberals’ policy position. But the modelling also includes what it calls a “static projection”, which shows that even without the Liberal policy, prices would fall to $63.13 per megawatt hour by 2022. Today Mr Marshall conceded prices would fall significantly even if his policy was not put in place. He admitted his party’s measures, including a new interconnector, would deliver only a portion of the $300 saving. “Well I think it’s between $60 to $70 per household and that’s an excellent saving,” he said……. The modelling of the Liberal policy position also factors in policies already announced under Labor, including Tesla’s 100-megawatt battery and Solar Reserve’s 150-megawatt solar thermal plant due to begin operation in 2020. The value of an extra inter-connector to SA is questionable given the Hazelwood decision and possible cuts in NSW capacity. 11th hour State Government intervention has ensured the livelihoods of workers at Springvale mine this week after legislation was passed in Parliament to rectify the planning act which had given the approval for the project extension in the first place. The Fairfax Lithgow Mercury is also saying a similar thing here. The next hurdle I see is whether a $100 million finance package can be secured now for the recently approved Water Treatment Project (WTP), that would take water discharges from Springvale Mine, treat it, and pump it for use at Mt Piper Power Station, and have this all built and operational before the 30 June 2019 deadline. If this doesn’t happen in time, then another development consent modification will be required to permit further mine water discharges into the Cox’s River (that flows into Sydney’s drinking water supply) from July 2019 onwards. I wonder what the excuse would be if the deadline is not met, and what the NSW Government would then do? Then in 2024 Springvale will likely run out of its remaining coal reserves – as discussed above in my earlier comment. What then? But that’s beyond the next election cycle, is it not? By then the proposed Port Augusta 150-megawatt solar thermal power station with 8-hours of thermal energy storage should be up and running (by 2020?) and hopefully be demonstrating that coal is not the only energy source that can provide reliable, affordable electricity supplies, and do so with zero emissions (that coal-fired generators are unable to do). Solar towers are not new technology with plenty of examples world wide. The 2010 BZE Stationary Energy Plan provides a very credible plan for converting Australia to 100% renewables over 10 yrs. This plan was largely based on a mix of wind and solar towers. The solar towers had back-up molten salt heating to ensure the solar towers could provide reliable 24/7 power if needed. I prefer PV over towers because they don’t fry birds. Are there some sort of exemptions for solar towers in EISs ? I’m quite taken by our red tailed black cockatoos and, my favourite, the Burdekin duck. A tower like that would endanger them for sure. Do you prefer not to fly because of bird-strike with aircraft? Do you prefer not to use road vehicles and trains because of collisions with wildlife, pets and livestock? Should we have tall buildings with lots of glass that birds strike? Once you start using these arguments you need to be consistent, otherwise hypocrisy and “special cases” can derail your argument. I am suggesting this issue should be put in perspective with other aspects of our modern life. I’m not suggesting the issue of frying birds and other wildlife at power towers should be ignored, but solutions should be found where possible and implemented. I think solar-PV and battery storage has its place but the major weak link is the battery system that has limited life (10 years) and is susceptible to low ambient temperatures. Solar-PV also has limited operating life (25 – 30 years) with degrading energy output over its operating life. I think power towers can have a substantially longer operating life (50 years) and have less disposal/recycling problems at end of life. Geoff Miell, Solar Towers have an indefinite life. The experience with CST is that there is a 1% per year replacement requirement. This is constant and ongoing and the entire plant is renewed every 100 years. The same will apply to towers. It also applies to Solar PV. You don’t get to year 30 or 40 and the whole system fails. Parts fail progressively and are replaced every two or three years. The cost of replacement is spread over the life of the building rather than the life of the solar facility itself. The bird fry problem is a concern for me too, but you put in in perspective nicely. A recent study put the bird death toll from ferule cats at 1 million birds per day, that is another perspective. I haven’t heard the denialists getting upset about that or organising a cat round up.